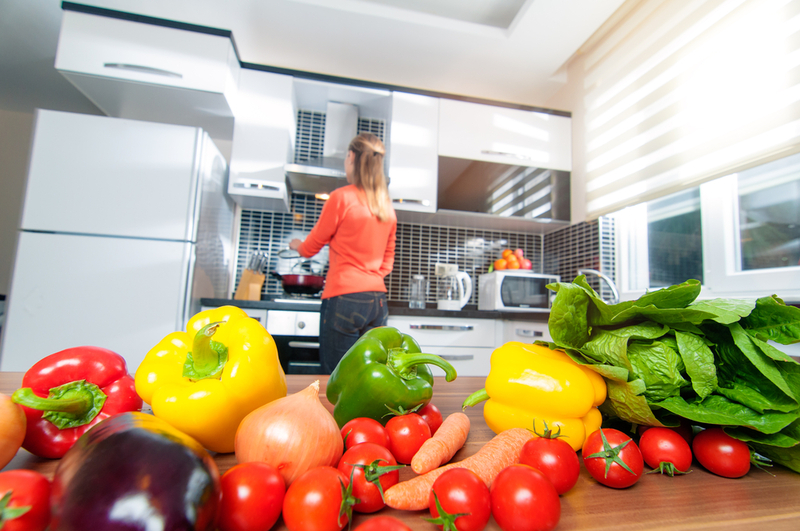 If you’re working long hours and are always on the run, trying to eat healthily at every meal can be a challenge. 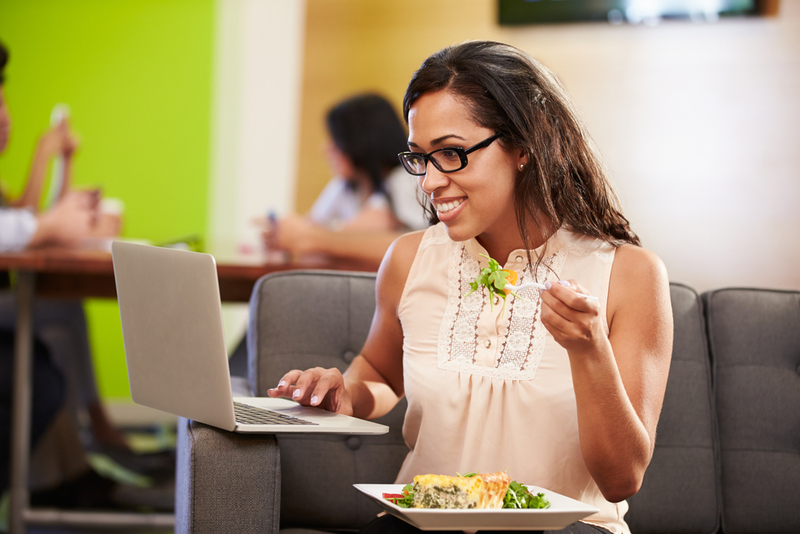 During a busy work day it’s important to refuel with a well-balanced meal; what you eat at lunchtime can significantly impact your energy and concentration levels throughout the afternoon. But there are easy and smart meals to eat in the evenings in order to provide you with a range of delicious lunchtime options. 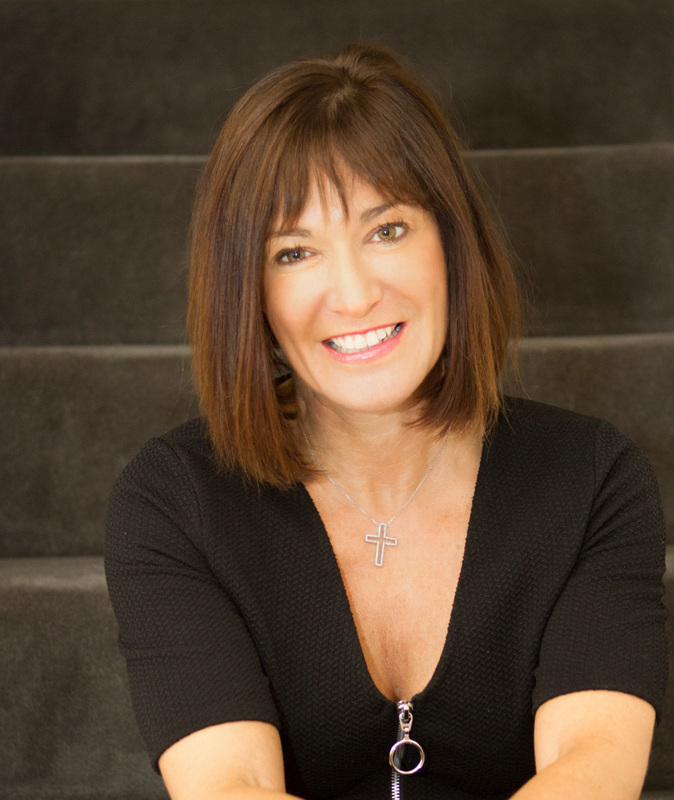 Clinical Nutritionist, Suzie Sawyer, takes the stress out of lunchtimes with pre-planned delicious and nutritious meal suggestions for every day of the week. Making work-day lunches doesn’t have to be a struggle. By planning in advance you can create a range of exciting options, packed full of nutrients to see you through the day. Almost any dish in my list below can be made in advance and used later – in fact lots of dishes, such as curry, actually improve with age! Monday is one of the easiest days for lunch-time planning; it’s all about what you’ve eaten the day before! If you’ve cooked a lovely Sunday roast, make sure you’ve bought a larger chicken or joint of meat that leaves you a portion or two for the next couple of days. Chicken, for example, can be quickly thrown into a lunch box with some salad leaves, cucumber, tomato and some seeds of your choice, together with a wholemeal bap. 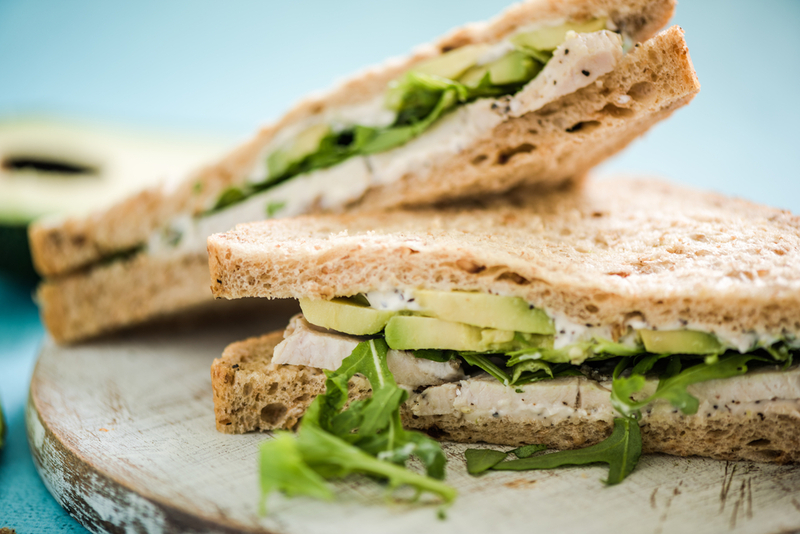 Why not try a super sandwich – put your roast chicken between two slices of wholemeal bread, with some avocado and rocket. It really is as simple as that! Some days don’t need much pre-prep at all – you can take all your ingredients to work and make your lunch there and then! 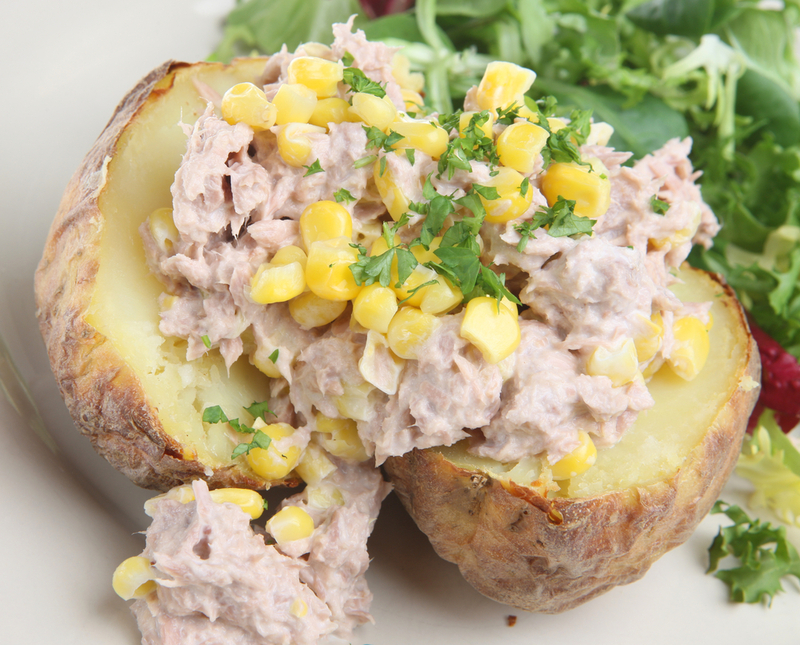 For example, take a potato which can be microwaved at work, together with some tinned tuna (low fat protein to keep you going all afternoon) and some sweetcorn (which provides great colour and also helps fills you up) mixed together with some crème fraiche (which also provides an extra hit of protein). A tasty lunch indeed! Why not swap your white potato for a sweet potato which are a more nutrient-rich alternative to the traditional spud; they’re high in fibre which supports a healthy digestive system and also contain a great array of nutrients, including vitamin A to boost the immune system. After an easy Tuesday lunch, Wednesday is all about using leftovers from your evening meal. For dinner on Tuesday, why not roast some salmon in a foil parcel (to keep it moist) and serve with some wholegrain brown rice, broccoli and peas. A super-healthy dinner which can then be transformed into a super-healthy lunch the next day! 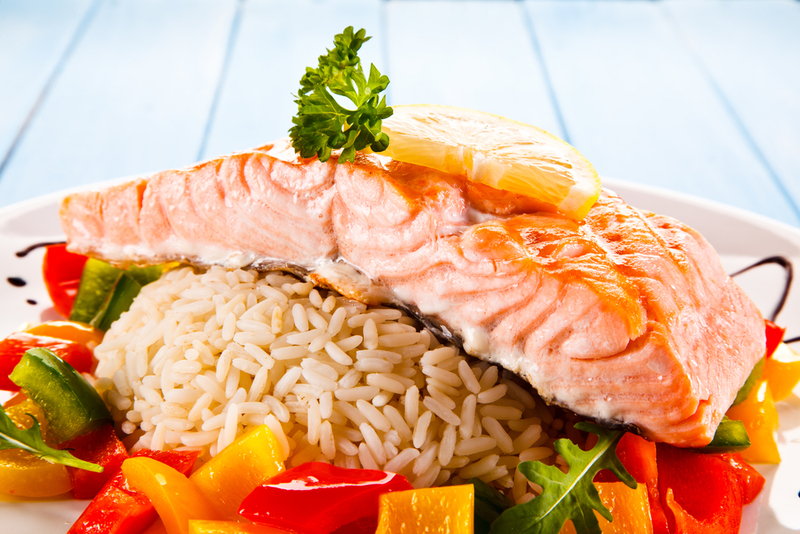 You could serve the salmon and rice as a cold salad, perhaps adding some other salad vegetables such as tomatoes and peppers. You can heat the whole lot up at work for a hot lunchtime meal or just bring the salmon and a potato to microwave, again mixing the salmon with some crème fraiche and serving with a side of salad vegetables. This lunchtime option has high nutritional content and is one that can easily be prepared from your dinner the night before – stir-fry. The more colourful the stir-fry, the more nutritious the dish; think mange tout, peas, baby corn, pak choi, asparagus, onions, red, green and yellow peppers … let your imagination flow! Prawns are a great low-fat, high protein option. Why not use chicken thighs rather than chicken breast to provide more flavour? 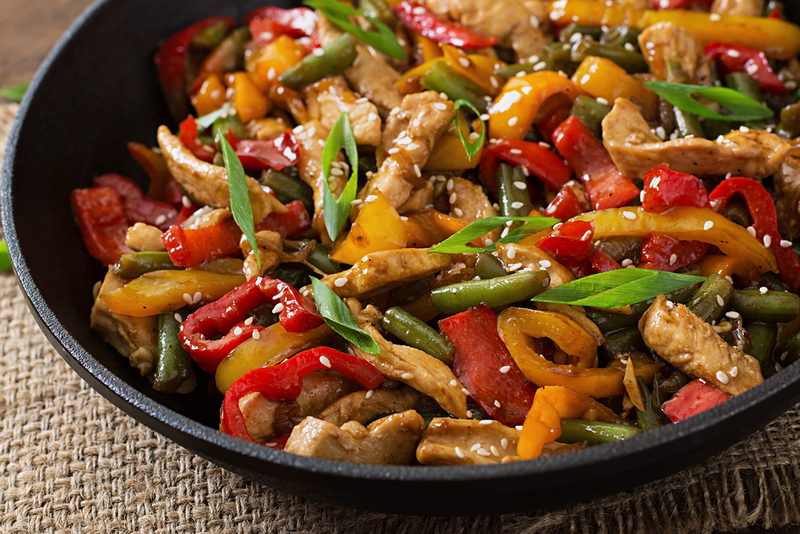 A stir-fry is a very versatile dish and you can literally add whatever takes your fancy. A left over portion can then be eaten hot or cold the next day. It’s high in protein providing sustained energy throughout the afternoon and an excellent array of vitamins and minerals. 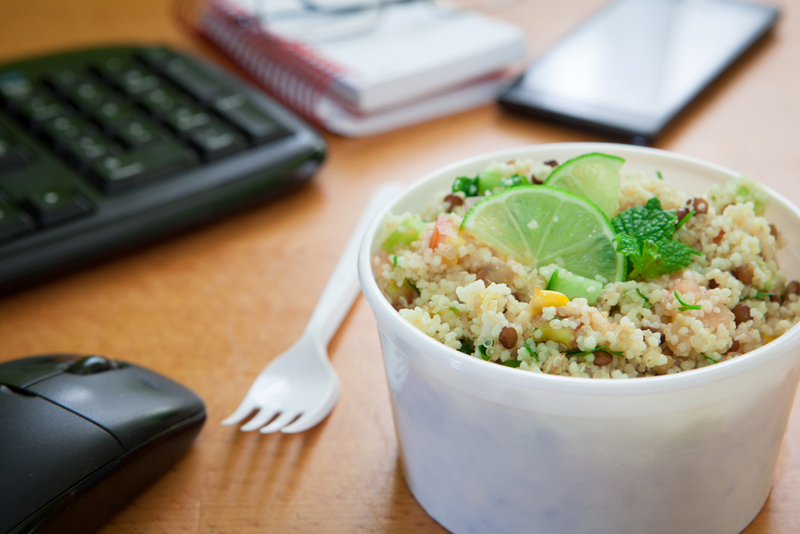 Here’s another great lunch that stays fresh in the fridge for two to three days – quinoa and roasted vegetables! This dish is easy, quick and cost effective and can be enjoyed with your choice of protein to keep it interesting. The most time-efficient way to prepare this meal is to make a large batch of roasted vegetables on Thursday evening and eat them with whatever else you’re serving. It could be a piece of fish, a chicken breast or a steak (go, on treat yourself!) Whilst this is cooking, boil up a few portions of quinoa with some stock, for additional flavour, and you’ve got a healthy lunch of roasted vegetables and quinoa that you can dip in and out of. Quinoa is a wonderful protein source, so it will fill you up and keep you going throughout the day, plus the roasted vegetables provide a range of vitamins and minerals. Roasted vegetables also provide lots of fibre to keep your digestive system running smoothly. Why not create your own version of Saturday kitchen? Spend a couple of hours on a Saturday making some dishes for the coming week. Why not make a big batch of soup? You can literally throw anything into the saucepan with some stock and you’ve got a few lunches ready to go; think potatoes, leaks, spinach, peas, onions, and broccoli – the easiest and most nutritious lunch you’ll ever have! So, healthy eating at lunchtime doesn’t have to be a chore! Just get into the habit of menu-planning for the week and prepping the night before for an easy, no-nonsense approach to filling your lunchbox. ← Love your Friday night Takeaway? Try these healthier options from your favourite restaurants.